Nestled on the slopes of the Pichincha volcano, Yanacocha reserve is just 15 kilometres from the Ecuadorian capital of Quito. 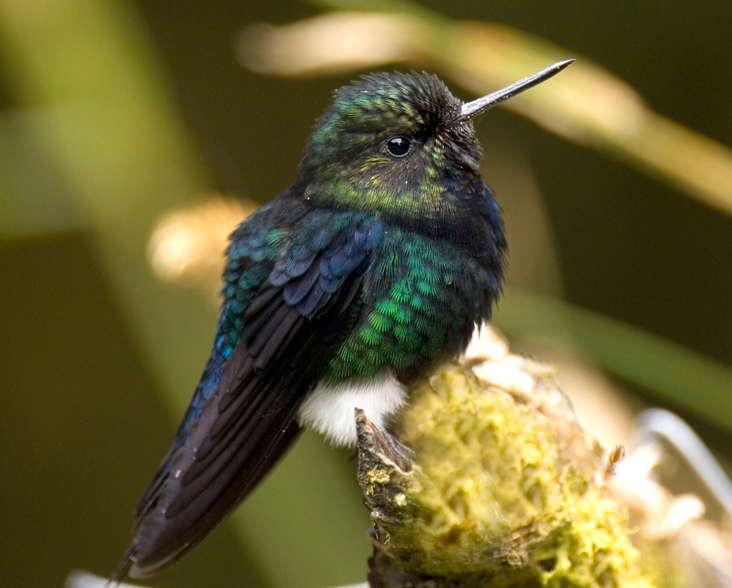 The reserve was created by World Land Trust (WLT) partner Fundación Jocotoco (Jocotoco) to protect almost the entire known world population of the Critically Endangered hummingbird, the Black-breasted Puffleg, whose known range is restricted to the Pichincha Volcano. Working with Jocotoco, WLT has saved 344 acres of threatened habitat to extend this reserve. In addition, WLT is helping to restore degraded areas through tree planting, with 54,000 native trees planted between 2008 and 2010 . 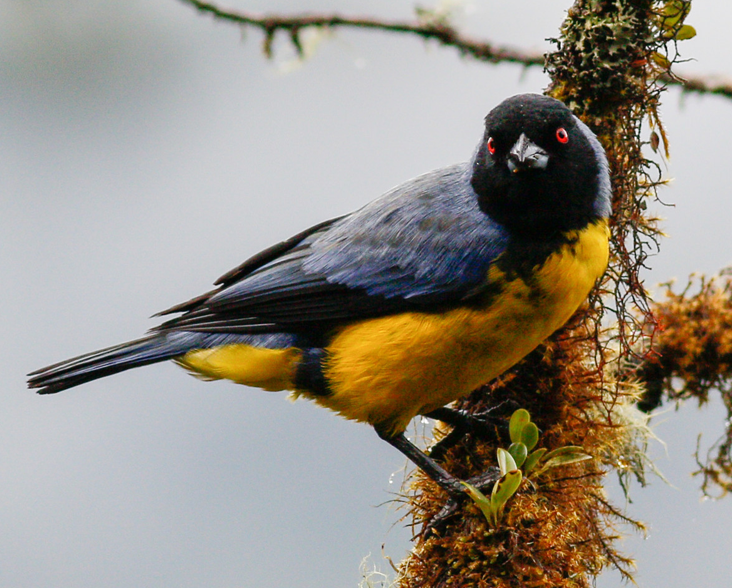 Although the Black-breasted Puffleg is the target species, the reserve protects habitat for 122 other bird species including Andean Condor (Vultur gryphus), Imperial Snipe (Gallinago imperialis) and the Giant Conebill (Oreomanes fraseri). The reserve also protects large mammals, such as Puma and Spectacled Bear (Tremarctos ornatus). Yanacocha forms part of a wider conservation strategy for this species called “Quito land of bears”. Working with Jocotoco, WLT has saved 344 acres of threatened habitat to extend this reserve. In addition, WLT is helping to restore degraded areas through tree planting, with 54,000 native trees planted between 2008 and 2010. At 3,500 metres altitude, Yanacocha is the highest site to be funded by WLT’s Carbon Balanced programme. 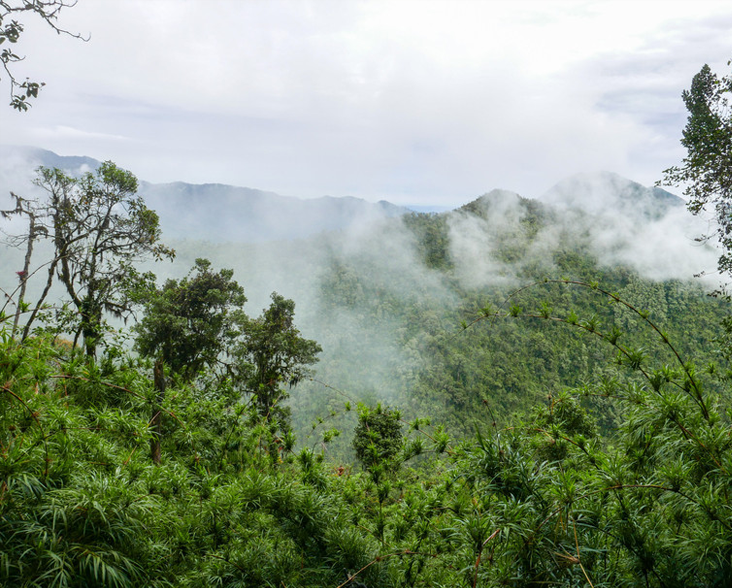 WLT and Jocotoco have used a combination of land purchase to protect remaining forest (REDD+), tree planting and assisted regeneration, over 67 acres (27 hectares), resulting in the absorption of 10,400 tonnes of atmospheric CO2 over 20 years. The reserve sits within a catchment supplying water to Quito and serves to ensure a reliable supply of clean water to the city and surrounding communities. The reserve is surrounded by farmers, and Jocotoco works closely with these land owners to mitigate impact on the reserve. In 2016, WLT supported an EOCA funded project to address the ongoing threat of fires in surrounding farmland, one of the greatest risks to the forest. The project will train both reserve staff and local farmers to effectively manage fires when they occur. Using the Spectacled Bear as a flagship species, the project will also raise awareness of conservation issues in the wider Quito area. WLT continues to support protection of this forest and the species it contains by funding local communities as rangers through the Keepers of the Wild Programme.